RULG-Ukrainian Legal Group (ULG) is a full-service law firm based in Kiev and Washington D.C. that provides comprehensive legal support to international corporate clients doing business in Ukraine and other CIS countries. ULG also frequently serves as a local counsel to international law firms. We are able to deliver effective, timely and practical legal services because of the high skills and experience of our attorneys, gained as a result of practicing law and helping to shape legal developments in Ukraine. ULG advises on general corporate matters with special expertise in the areas of antimonopoly regulation, intellectual property protection, unfair competition, energy and upstream oil and gas. ULG participates in many professional organizations, including the U.S. — Ukraine Business Council in Washington D.C., the European Business Association and the American Chamber of Commerce in Ukraine, as well as in international legal networks including Lawyers Associated Worldwide, IBA and others. We organize the CIS Local Counsel Forum annually, a meeting of managing partners of top law firms from the CIS region with the participation of partners from leading international law firms (www.rulg.com/cisforum). In 2009, ULG became a founding member of the CIS Leading Counsel Network (LCN) and currently holds its rotating chairmanship. 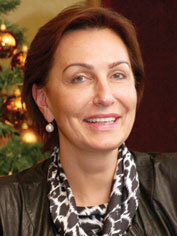 Our principal attorneys are Victor Kovalenko LL.M., Dr. Irina Paliashvili LL.M., and Alena Vasilenko. Detailed information about Ukrainian Legal Group is available at www.rulg.com.